She was stupidly in love with him. Because of him, she became rude and unreasonable, overbearing, jealous, insane. But he did not spare a glance to her. Married for two years, he didn’t favor her once, letting her become the laughing stock of the whole world. Eventually, she ended up in an affair, leading to her tragic death. This was actually harder to read as I go on just because I feel sorry for the original empress that died. I wish we could have some justice for her soul rather than having a transmigrated soul as the MC that was ignorant to how the original empress was framed and even blaming the original empress for her own plight. This story could have been better without transmigration as a plotline. From reading the summary I thought an empress reincarnated into another empress to have a second chance at life. I... more>> did not think it was a modern ignorant soul being reincarnated into the body of this pittiful empress. At first I like this story a lot, but somehow reaching till this chapter, I realized that the FL is highly stupid ignorant, it was annoying to keep reading her stupid behavior in this chapter. Where is the common sense? She invite another man for dinner secretly and cook for him personally. This obviously cheating behavior through and through. Although she insisted not to love the emperor but she shouldn't be stupid enough to provoke the situation? But anyhow, kudos to the translator for the great job for finding time to translate this, I'm not going to hate this story since I'm still hoping to see what will happen, but still, I really unable to fully like the characters. A good read. 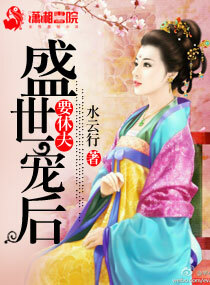 The female MC cross over to the deceased empress who is known for her jealousy and possessiveness towards the emperor. What's so good about this is that the cross over MC acts the total opposite of the previous empress making it so funny and enjoyable. You must definitely read this novel. It's as good as the rest of female protagonist novel. This female lead acts like a literal child, whiny and always making bad decisions. I never understand why these authors make their leads dumbed down to this extent. A 10 year old is more wiser than this female lead. Look another transmigration story! We have an empress this time too! I think for now, what sets it apart is how the Imperial Couple are on bad terms (Kind of expected considering the green hat the previous empress gave the emperor...) but the MC is a tad... weird? I wouldn't say dumb as she is clearly smarter than average from the first 3 chapters. But at the same time, her way of thinking is quite unique for the time period. Let some other concubine become favored so that they are public enemy no 1. Never thought about it that way! This is a pretty lighthearted story about a modern woman who had an accident on the toilet and somehow ended up in the body of an adulterous empress. While loathing the emperor (and inspecting all the toilets in the palace) she tries to be the best empress -- virtuous, open-minded, thoughtful, harmonious... Unfortunately, she's an idiot, and that irritating emperor can't seem to ignore her. Even though most of this novel is light-hearted and comedic (the female MC is seriously an idiot), there is a non-consensual scene that will sour the feeling of this novel. The female MC is raped by the drunk male lead. (And not in the "but he was so hot and she couldn't help feeling good" kind of way that's common in light novels. I mean she seriously has her first time violently taken.) Even though he feels really bad about it after, this adds a serious aspect to the story. I will update this review later after more chapters are released. she learned that the emperor married the previous owner due to strong family backing but can't love her and ignorrd her she still thought it was all the previous owner's fault!! And don't get me started with that dumb dumb emperor ! Hes making my blood boil! And that concubine cousin's end? How could she! So far it's funny with the MC (Empress) not knowing the previous owner's memories... But she's quite reckless to make a bold move just because she taught that a certain guy in the past also cross to another body like her but only this time he went on the emperor.... Or did he? So far. This one is damn funny. MC is actually not interested in the ML but she ends up in hilarious situations where everyone misunderstands her. She even becomes friends and supports the concubines and pushes the ML to them. I have read the novel in raw so this may contain quite a bit of spoiler. For such an interesting beginning, the story become more and more disappointing as it progresses toward the end. Firstly, The MC is way too gullible and naive. She believes everything that is fed to her by other people without taking time to think carefully and consider the purpose behind these rumors. I had hoped that she would become more sensible as the story progress and oh boy... how wrong I was. Secondly, the personalities..... and IQ of each character within the novel keep changing drastically (from one end to another end of the spectrum). Look no further than the MC herself. One moment, it was depicted that the MC has completely trusted and believed in the ML, but then in the next chapter she reverts back to being suspicious all because of a baseless sentence from other people. Thirdly, some of the plots are very unreasonable and confusing... like that plot that involve a major misunderstanding when the MC is pregnant and is about to give birth. Last but not least, there r many loose-ends by the end of the novel. To conclude, the story becomes progressively bad that I simply couldn't help but skimp Andy skip toward the ending. secretly curses the 'stud horse' emperor to death and has a strange obsession with toilets since she believes that they can lead her back to her original world since she came to her new one via a toilet. Okay, this was such a painful read. But let's start with the good points of this novel. -Even though I found myself frustated many, many times, I somehow couldn't stop reading, which I guess makes it good enough to not drop it in the middle of it. -It was kinda different from the other novels, I guess. Not every concubine in the harem was some white lotus tryna kill the MC at every corner. There is one real female villain (well, for now at least) and, even if she's annoying, she doesn't... more>> make it too hard for the MC. Plus, the MC isn't OP at all. -Even if the plot is annoying and repetitive, I wasn't bored by the story, which is surprising. I mean, it's basically the MC listnening to the male villain bullsh*tting about the emperor over and over again with her blindly trusting him. The entire plot is about her trying to escape the palace, failing, deciding not to, then being convinced to try again. -The MC. She's the only bad point of this novel, but manages to ruin it completely. Yes, she's quirky and (somewhat) cute and funny, but she's so naive and ignorant it hurts. It IS normal to not trust the emperor after he raped her and all the sh*t going on with the previous owner of her body being stupid, but her reasoning doesn't make sense at all. Girl, he jumped off a fudging cliff to save you and he healed you even if he was POISONED. And what does she do ? "Oh ! I'm not scared of you ! You're just trying to take advantage of me anyway. And you want to kill me !" Please, girl, stop. is unfair. He's got a whole harem and another woman he favours but the MC can't speak to another man. But since it happens in ancient history, you could consider it normal. Overall, I like this novel. At this point, the story is moving at a very slow pace! I love transmigration stories, however this one is quite different from the rest. 3. She doesn’t fall in love with the ML very quickly. A few things that annoy me is her wanting to go back but never investigating the previous owners issues. She even brainlessly interacts with second male lead and gets into trouble with emperor. There are some hilarious scenes. ML is so proud. he doesnt want to show his feeling or mind at all to the FL that cause the past empress died heartbrokenly in grievances by a frame. FL is transmigrated by a toilet... so she do everything she can to find the right toilet in the palace to go back to her world. of course, so far she failed... to prevent the story ends earlier. LoL. Theres alot of misunderstanding in the story that cause by ML personality and FL mindset to not involve herself and... more>> just focusing on going back to her world. Although theres still some mysteries: why did the past FL end up married the emperor when she more suitmatched with the supporter ML (7th king) ? Whos the blackcloth guy (?) in the prologue? Who the one that repeatedly tried to kill/assassinated the empress? Hope the author did a good job to unconcealed all of it and make a good end. Nice story btw to spent ur time. This is a good light hearted novel. Very funny and silly at times too. It made me laugh multiple times. If you are here for some serious story then this might not be for you. Its very funny and unrestrained. The MC is a bit dense but her thought process is really funny and at times makes you question if she really is sane. But she is hilarious. Her and the emperor's interactions are really funny too. If you want to nitpick then the only negative in it might be the multiple... more>> double standards and at times infuriating character. The double standards though are present in every novel based on ancient history. So I guess every one is used to it. Interesting take on the usual transmigration stories, the female lead definitely has a different kind of personality. I don't really like the male lead as of now but his character might develop in later chapters. Plot of the story is unique starting with how the female lead decides to react with the "harem". Waiting for more chapters! This story kind of grows on you as the characters improve themselves. The main character has a quirky personality, but so does the male lead and that is precisely what draws him in. Her attitude is one of those rare ones you never would see at the palace, since she doesn't like scheming and really wants to get away from that place. She has a bouncy and lazy attitude at the same time, and I just find that very refreshing. She's not your typical perfect Mary Sue character that I've... more>> grown kind of tired of. I want someone who does mistakes and ends up in trouble - and maybe sometimes learn from them. Romance is very slow, but the focus is more on character growth first. It is a lot more interesting to see the story unfurl this way, to me. When it does start showing up though, it's very enjoyable.